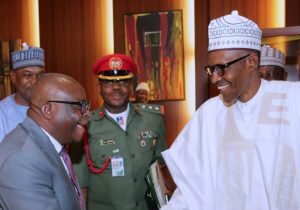 IF President Muhammadu Buhari goes by the recommendation of the National Judicial Council (NJC), Walter Onnoghen, the chief justice of Nigeria (CJN) could get retirement benefits in cash and kind up to N2.5 billion, checks by TheCable have revealed. TheCable reported on Wednesday that the NJC has recommended the embattled CJN for compulsory retirement after deliberating on a petition by the Economic and Financial Crimes Commission (EFCC) which alleges “financial impropriety, infidelity to the constitution and other economic and financial crimes related laws”. TheCable understands that members of the NJC were not convinced by his defence but also decided that he should be offered a “soft landing” through retirement. “The major problem Onnoghen’s defence had was that even though he claimed those funds found in his accounts were his, he could not provide evidence on how he made the money,” a source in the know of the deliberations told TheCable. Presidency sources, however, told TheCable that the option of “soft landing” will be difficult to justify “given the anti-corruption efforts of President Buhari”. TheCable learnt that before the scandal blew into the open, Onnoghen was given the option of early voluntary retirement.